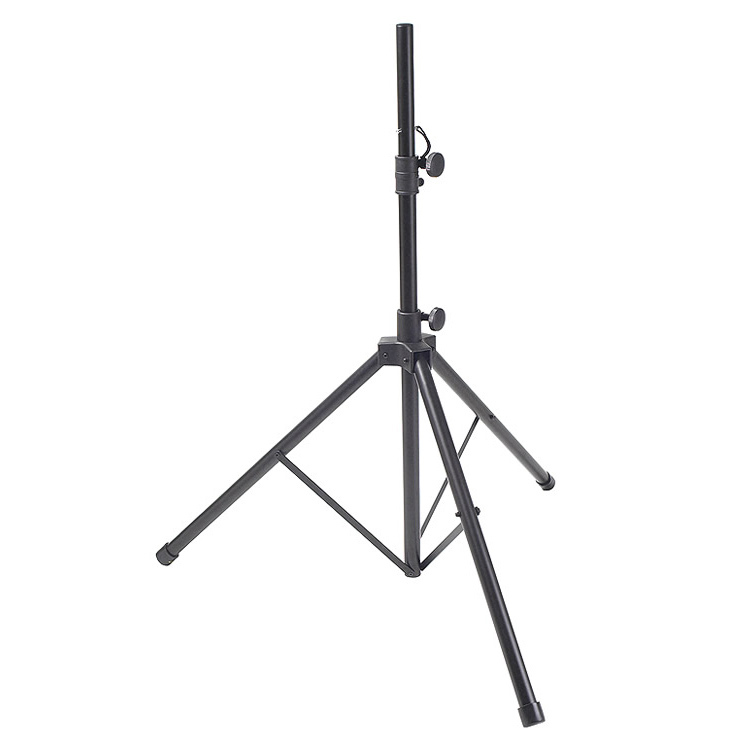 The Proline tripod speaker stand features a center steel shaft for maximum support and an aluminum body for lighter weight. Locking pins are included for extra safety. 150-lb. capacity. Fits 1.375″ or 1.5″ speaker mounts. Height adjusts from 45″-73″.